The Legend of Heroes series of games has been around since the 1980s. It shares similarity to the Final Fantasy series in that it got sporadic releases translated into English. As time has gone on, more of the series is consistently being released stateside. Within the series itself are subsets of games that link to each other storywise. The Trails in the Sky trilogy was met with acclaim, releasing between 2004 and 2017 across both languages. Trails of Cold Steel was released in 2013 (2015 in the US) on PlayStation 3 and Vita. Whilst the series did very well on Vita given it's classic RPG roots, the developers decided to push for the PS4 as the platform of choice for ToCS 3 (and now 4 in Japan). With a planned release in America of number 3 in November 2019, the first two are being upgraded and rereleased in PS4 format, with the first released March 26th and the second currently slated for early May. The physical edition of the game will come with a collectors replica coin, soundtrack, and steelbook for $49.99, or the game itself can be purchased digitally for $10 less. It will include any and all DLC previously released for the game, 50% more English voiced lines than the previous edition, and dual audio for those wanting to hear the original Japanese voices. Fans of original releases will be pleased to know that not only is there a method to cross-save port your PS Vita and PlayStation 3 progress into the PS4 edition, but there is a "turbo mode" which speeds up the game in general letting you efficiently push through some of the walking around, grinding enemies, et cetera without taking up so much time. The game also has 4K/60fps support, which will be quite a leap for gamers coming from the Vita. While I have not had the chance to play the other releases, I will note that it looks on this end that the save port is a one-way street. Hitting that option on the main menu allows you to download a save, but says nothing about updating a save for the Vita to continue your game on the go. The story focuses around Rean Schwarzer and the rest of "Class VII" at Thors Military Academy. While the Erebonian Empire is a formidable team on the field, they are on the edge of civil war between the classes. Even within the military academy there were regularly specific classes for the nobility and the commonfolk. The military academy attempts to overturn this bitter rivalry with the inclusion of Class VII, a mix of commoners and elitists. 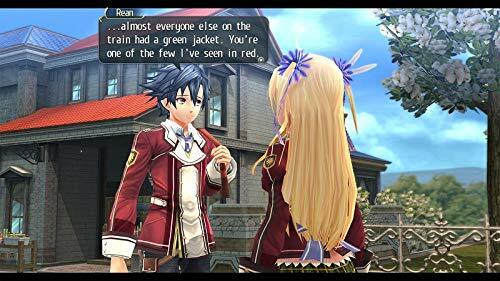 Rean's class is the first of it's kind, and the focus of the game centers around this team learning about the reasons behind the civil war and striving to overcome it. The battle system is a unique combination of turn based and location-critical combat. You lead a team into battle equipped with materia-like elements that can augment abilities or grant special powers. Attacks play out on a turn-based line, similar to Final Fantasy X. Some attacks take a bit to charge or may go off immediately but will delay your next turn. You can choose to move for your turn or use attacks that might move you across the battlefield. Strategists will have to decide whether to clump up to allow mass healing or spread out to prevent massive area damage effects. There is also a "link" system allowing cross attacks and abilities used between multiple characters that are built out of bonds between the characters in and out of combat. 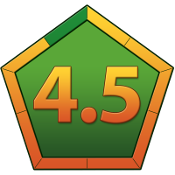 The game (and series as a whole) is acclaimed as a classic for fans of turn based RPGs. If this is your first dip into the series (like me) you won’t be disappointed. It shows a bit of it’s age simply by default. The graphics are cleaned up, but you can see simple corners cut with the mazelike dungeons with simplistic designs, stilted animations, or repetitive enemy types, but some of those are so ingrained in RPG history you come to expect them. Given that the Trails games are story linked, it would be best to join in now to prepare for the soon to be released in English number 3 and the already released in Japan number 4. As a rerelease you’re getting the best package you can, with a reduced price from a new AAA game rife with all the DLCs created just in time to play catchup and be ready for Trails of Cold Steel 3 in November. -(pro or con, your mileage may vary) as this epic RPG quadrilogy comes out, all the stories are directly linked. If you haven’t played any of them yet, you have a bit of work to do before catching up for the November release! Special thanks to Xseed and Nihon Falcom for providing a code for review!